Our YouTube video marketing services provide companies with video production, optimisation and promotion. YouTube, owned by Google, allows companies to communicate their message in one deliverable on multiple levels: imagery, the spoken word, and text, while reaching a huge audience with minimal expense, and the shortest amount of time. 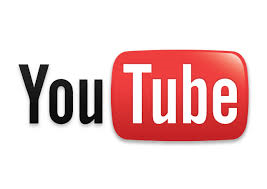 YouTube is the largest video sharing site to date, with the most traffic and the highest amount of users on it. This makes YouTube the definitive place for getting your videos published and marketed on. Video is a powerful way to demonstrate instruction or present emotional content. YouTube videos often show up in Google search results, potentially allowing you to gain more website visitors by dominating your market’s natural search results. We are aware that there has always been a barrier for small businesses who want to use high quality video: Cost. This is exactly why eapb specialises in delivering quality, value for money YouTube video based marketing, accessible for smaller businesses. We offer a free, no obligation consultation and business review to anyone wanting to know more about our YouTube video marketing services. We’d be delighted to talk you through the entire process, covering everything in plain and simple English. Contact us today! eapb digital agency in London and Sussex delivers creative, innovative and holistic digital marketing campaigns that obtain measurable results, and return on investment. People are the heartbeat of our business. Coupled with passion & performance, our promise is to build our services around your targets, your demands and your budget. Your company's TOMORROW starts here. Let's GO! Under the leadership of digital marketing expert Paul Brewster, our SEO agency services help businesses generate more PROFIT, acquire more profitable customers, and SAVE MONEY by pinpointing areas of your current 2016-17 SEO spend that are not delivering sufficient return on investment (ROI). Paul Brewster | Offices: London & Crawley, Sussex. (c) eapb Digital Agency © 2013 - 2017.